A few years ago, the easiest way to bypass geo-blocking was to use a web-based proxy server or to run a foreign-based Virtual Private Network. These days there are much easier ways to convince foreign services into thinking someone’s a local. 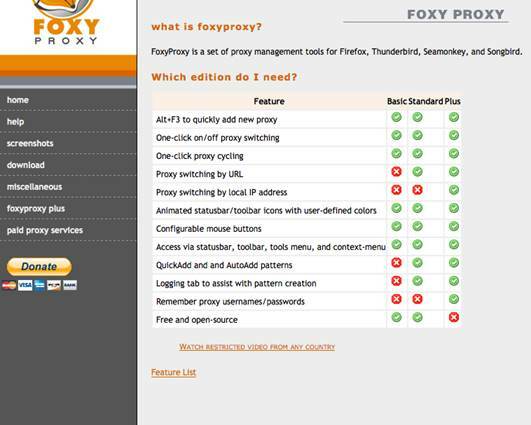 There’s a wealth of web-based proxy servers to choose from, such as hidemyass.com, along with browser plugins such as Proxy Switchy and FoxyProxy. Unfortunately content providers are cracking down on proxy servers, plus smooth streaming video relies on the speed of the proxy server’s connection. Another shortcoming is that you can’t enter the proxy server details into most of the devices you’ll want to use to watch internet video on your television. Virtual Private Networks also act as middlemen, with the added bonus of encrypting all your traffic. You’ll find free VPN services such as Hotspot Shield and VPNBook, along with paid services like WiTopia and StrongVPN. Once again you’re at the mercy of the speed of the VPN. WiTopia offers multiple servers in many countries – servers in large cities are faster but also more likely to be blocked by content providers. Like a proxy server, you’ll find that you can’t run a VPN client on most home entertainment devices. 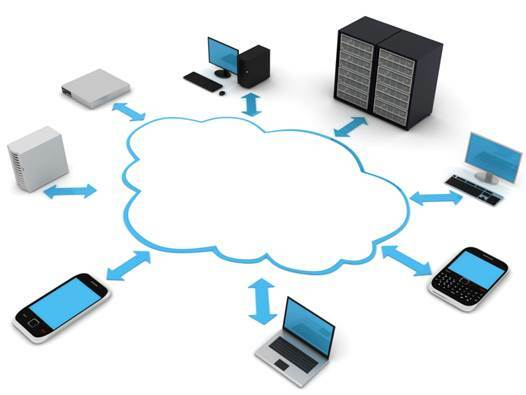 One workaround is to configure the proxy server or VPN on a computer, then use internet connection sharing to provide internet access to the player. Using a notebook is easiest, connecting to your home network via Wi-Fi and your player via Ethernet or vice versa. Alternatively you might configure the proxy server or VPN on your broadband modem/router to cover every device in your home, or else create a separate Wi-Fi network for geo-dodging. These tricks might work for you, but the rise of DNS-based geo-dodging services such as Unblock US; UnoTelly and the free Tunlr have made things a lot simpler. For $4.99 per month, after a seven-day trial, Unblock US lets your devices bypass geo-blocking by simply changing their DNS settings – something you can easily do on almost any internet-enabled device. It also works at the router-level to cover your entire home. UnoTelly is more flexible if you’re interested in countries outside the US and UK, with plans starting at $3.99 per month after an eight-day trial. We got the most reliable results from UnoTelly, but remember the world of geo-dodging is always in flux. The Unblock US website offers step-by-step instructions for configuring a range of devices, plus its forums are a great source of up-to-date geo-dodging advice. DNS services offer primary and secondary DNS server addresses, sometimes you’ll get love from one but not the other. Using UnoTelly we actually managed to trick a Sony BDP-S590 Blu-ray player into loading the Netflix and Hulu apps, while hiding the Australian apps such as Quickflix. There was no need to change the firmware – we simply switched to UnoTelly’s DNS servers and used the Options button to refresh the app list (we got errors using Unblock US). Switching to our ISP’s DNS put things back the way they were. We first got this trick working with the Blu-ray player hooked up to a PC running WiTopia but, when we disabled the VPN, the trick kept working. We haven’t had the chance to explore it further, but it’s a simple trick that just might work on a range of Australian internet-enabled TVs and Blu-ray players – depending on how they access foreign services. The ease of use and universal compatibility of DNS-based services makes them our geo-dodging method of choice. They don’t actually reroute your traffic, so you don’t encounter a performance hit. If you change your home IP address, such as by rebooting your modem, paid services such as Unblock US can require you to visit the website using your computer so it can detect your new IP address. If your ISP offers unmetered browser-based access to Australian content such as iView, check whether changing your DNS settings causes it to be metered. If you only need to enable geo-dodging in your Pc’s browser, take a look at the one-click Hola plugin for Chrome and Firefox. This free DNS-based geo-dodging service gives you access to popular sites including Netflix, Hulu, Amazon Prime and BBC iPlayer.